It’s that time of year again, when many organizations begin planning their annual IT budgets. At 2Evolve Technologies; we understand the stress and importance of your yearly IT budget. More importantly, we understand technology and how to keep your organization from falling into any technology debt. Which projects will be funded, which will be shelved? With advances in technology in the last 16 months, which projects are mission critical to the success of your organization? Will there be haggling over OpEx and CapEx lines from years past? 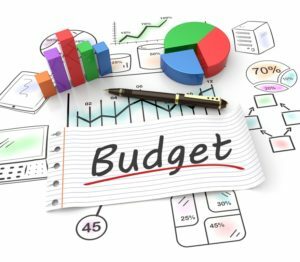 Will a “new age” budget meet objectives while keeping the CFO happy? What are the ROI requirements and investment horizon for new IT projects? Is a portion of your IT budget being committed by other departments in your organization? 2Evolve Technologies can assist your organization in answering these questions and will work with you to determine the most critical projects for the coming year. Every new year brings several mega technology trends front and center. Make sure your organization is aware of these fundamental shifts in the workplace and prepare your budget to address these trends. These mega technology trends have IT departments worried. DO NOT PANIC! 2Evolve Technologies has already helped many organizations build their technology roadmap for your organization. 2Evolve Technologies is happy to do an assessment of your environment and help plan and architect a custom solution for your organization.